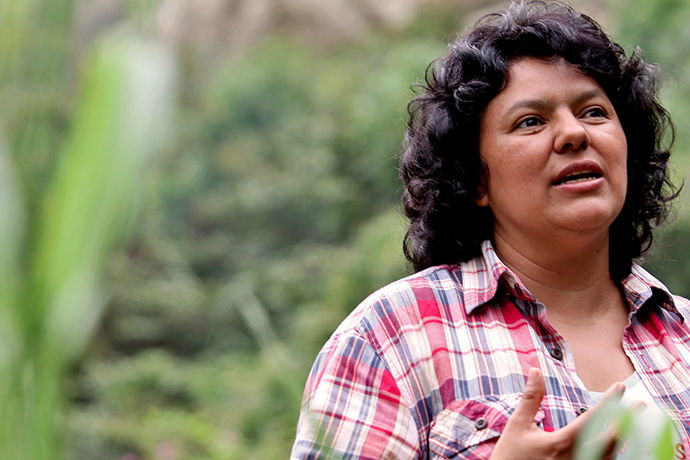 Networks and organizations across the Americas and Europe issue a statement condemning the assassination of the Honduran human rights activist Berta Cáceres. Berta Cáceres lived defending the territorial and cultural rights of indigenous peoples, the Garifuna peoples and peasants. She was recognized nationally and internationally as a human rights defender, particularly for the rights of women and indigenous peoples. In recent years, Berta was the victim of harassment, persecution, intimidation, stigmatization and discrimination both by State and non-State actors, because of her activities defending human rights of indigenous communities opposed to the hydroelectric and mining operations that have been imposed in their territories without their free, prior and informed consent.